I love toys. That's probably not a surprise to anyone that knows me well. 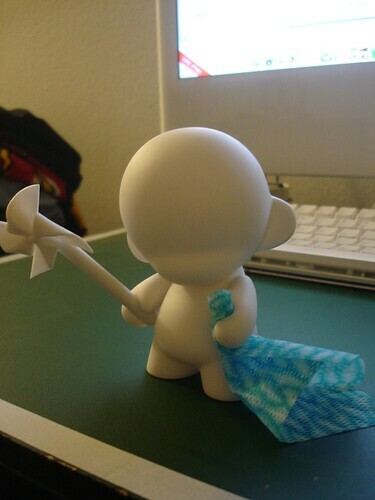 Each of my desks, be they at my apartment or my home has little figures on them. 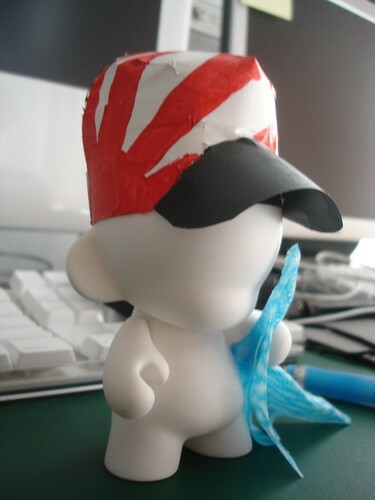 Recently I've really gotten into the vinyl toy scene. 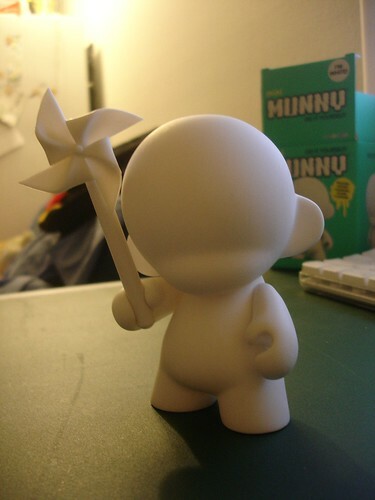 Since first seeing the Munnys I've wanted one. However at 25 bucks a piece they seemed a bit too expensive. 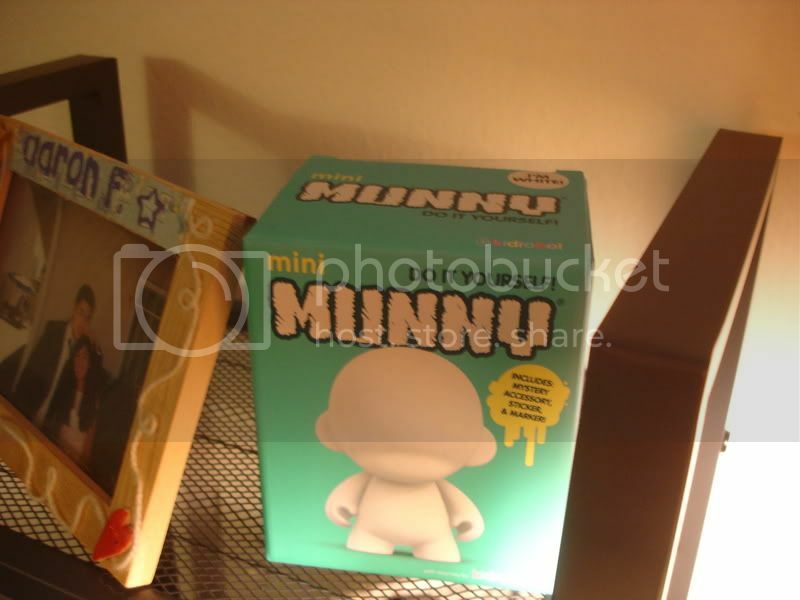 On a recent trip to Urban Outfitters I discovered they were now selling mini Munnys at a slightly more reasonable $10. I've had this little guy for a month now and I'm quite afraid to do anything to him, out of fear that I'll mess him up. So for that reason, he's stayed clean white. 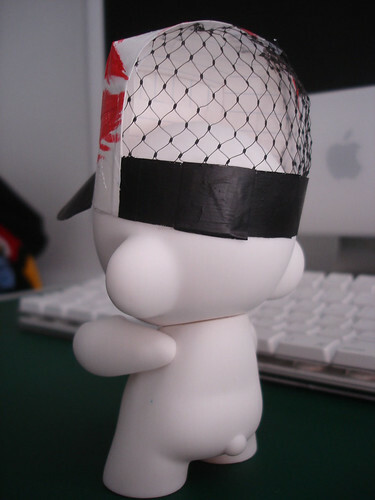 I recently got some inspiration after dropping by three locations which had these vinyl toys and decided as of now he'll stay clean, but I'll just add things to him. 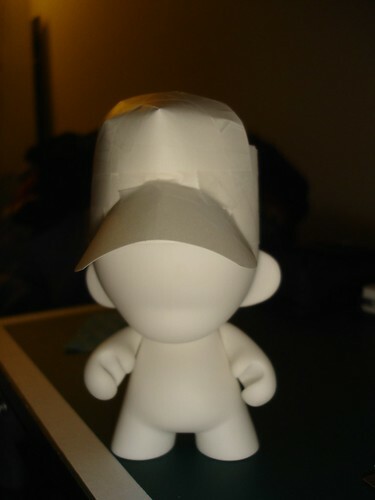 And so here's my attempt at making a Munny trucker hat. Say hello to my little friend. 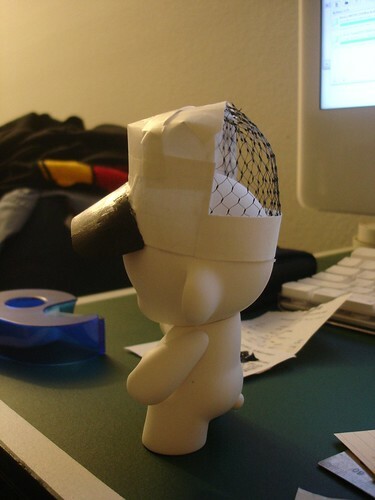 I haven't come up with a name for him yet, but here you can see the progression of how I built his hat. 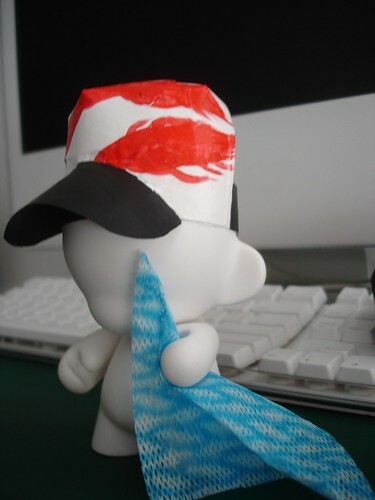 Constructed of only 3x5 cards, tape, a marble pouch and paint. 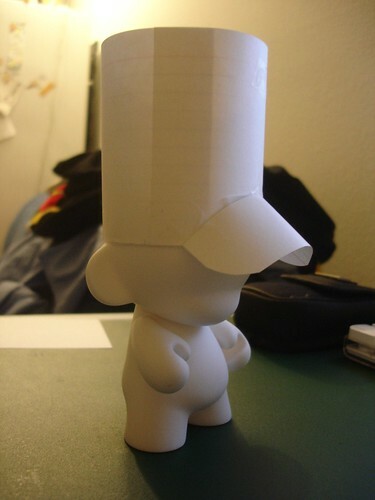 Took me maybe 2 1/2 hrs to do it, seeing as I couldn't figure out the way the bill curved. It's supposed to be a rising sun that changes into flames, but it was really late so it didn't turn out the way I thought it would. Oh well. Enjoy the pictures.